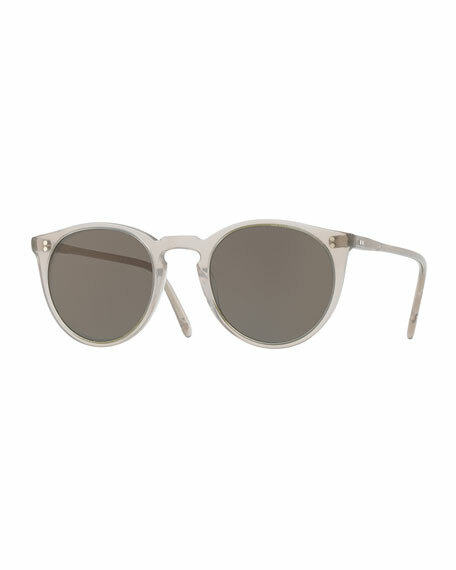 Oliver People The Row "O'Malley NYC" round acetate sunglasses. The iconic "O'Malley" reinterpreted in a new feminine way. Stud detail at frame front and temples. For in-store inquiries, use sku #2116380.